Is this the best Swiss watch you can get for less than a grand? Editor’s note: Many (many) times we’re asked to recommend a ‘good’ watch at the roughly $1000 price point. 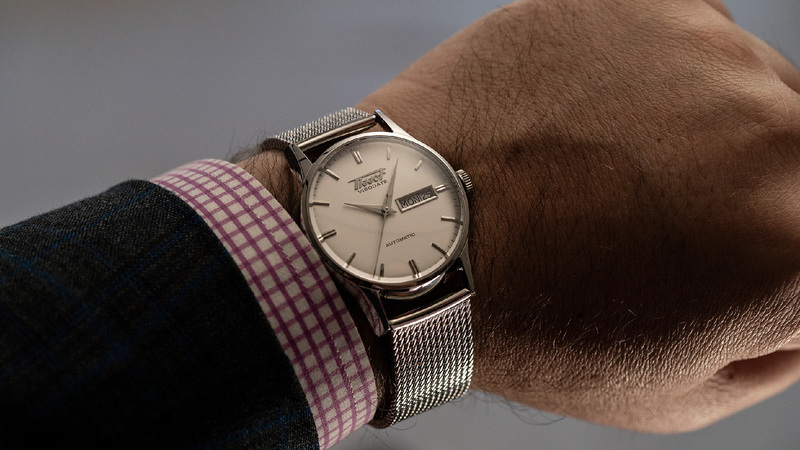 The Tissot Visodate, one of the brand’s staple heritage pieces, is always high on the list. It’s not a new release, but that doesn’t mean it isn’t an incredible piece of kit. Here at Time+Tide we spend a goodly amount of time talking about the latest watch releases. Well, this isn’t one of those times. Instead, today we’re talking about a stone-cold classic that’s as good today as when it was first released – the Tissot Visodate. The Visodate is an historical reissue of a mid-century watch that was novel for its inclusion of – wait for it – the mighty (and occasionally maligned) date window. While these days the date is de rigueur, it’s easy to forget that back in the day it was a big deal. The re-release honours the original not just in the snazzy name but also with a date display that’s deliberate in its style and placement. For me, though, the charm of the Visodate extends well beyond this complication. The case shape, the opaline dial finish, the arrowhead markers. All perfectly on point for a dressy vintage classic. And this version on a Milanese mesh strap only adds to the old-school charm. All this for under $1000 – it’s hard to go wrong.